Fan of anime, robots, planes, sci-fi or anything similar? This could be interesting to you. If not, sorry. I will write briefly about this anyway. 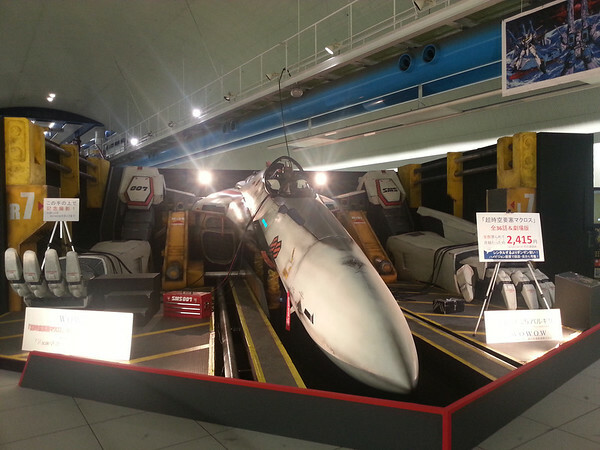 Macross (and Gundam) is a staple of Japanese culture. Even if you’re not a fan of it here, you’ve at least heard of it. Anyway, the VF-25 Valkyrie is an iconic transforming fighter jet. On my way to school, I noticed a poster advertising this on display nearby. After school Monday, I made a stop over to check it out to take a few pics and a video for my friend Amit. 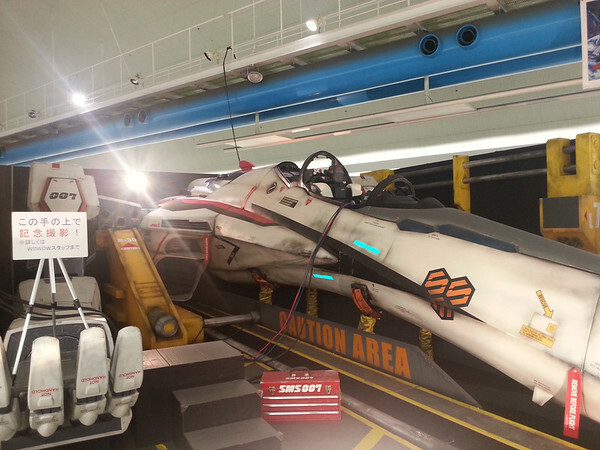 He’s a fan of Macross. 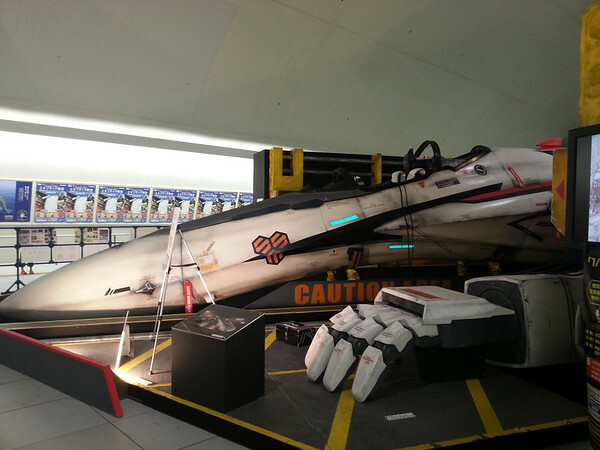 The Valkyrie was on display as part of a promotion for WOWOW, a subscription television channel. 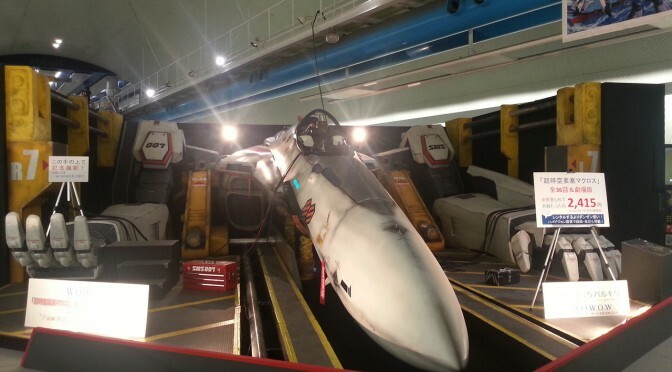 It is currently showing the original “Super Dimension Fortress Macross” (超時空要塞マクロス) show, as well as the movie “Macross: Do You Remember Love?” ((超時空要塞マクロス 愛・おぼえていますか). I didn’t sign up. I just wanted to check out the fighter. I didn’t ask, but some people were allowed to get a picture standing on its right hand here. The left hand. Wish I had taken a pic with someone in it for a sense of scale. 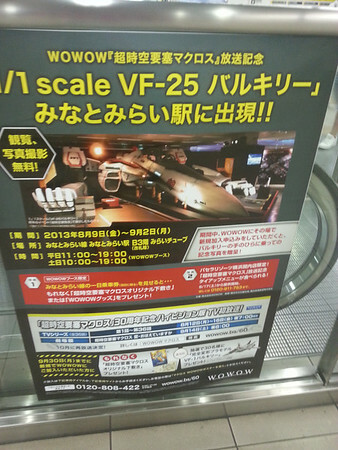 Some info about the display and promotion. 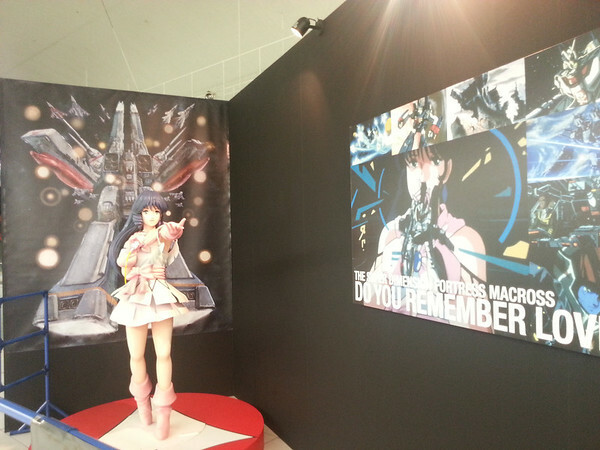 Gonna go out on a limb here and guess this is Lynn Minmay. I’m not really familiar with the story. I used to be a self-professed otaku. I was really into anime and was, what one might call, a weeaboo. Thankfully I got out of that phase of my life, and it was at the right time too. I stopped paying attention to anime around the time it started to become the mainstream (is it considered mainstream now?) phenomenon it has become. I watched things like Ranma 1/2 (I even had some of the $30 tape that contained only two episodes), Neon Genesis, Trigun, Cowboy Bebop, etc. I felt that most things around then (late ’90s, early 2000s) was of good quality. But when it became popular and less underground, companies started bringing more and more shows stateside. It used to be that there were 0 – 5 DVDs released a week. Now? I have no clue, but the market is saturated. Whenever I watch a show now that someone recommends, most of the time it’s crap, but people like it because it’s the hip thing. In reality, the quality, I feel, just isn’t there. It’s sad. Before, I could trust the localization companies to bring out quality shows I’d enjoy, now it’s rare.